I’m a huge fan of Makeup Revolution products so when I recently spotted this Super Wow High Gloss Lip Colour Stick by its sister brand called I Heart Makeup, I had to have it. 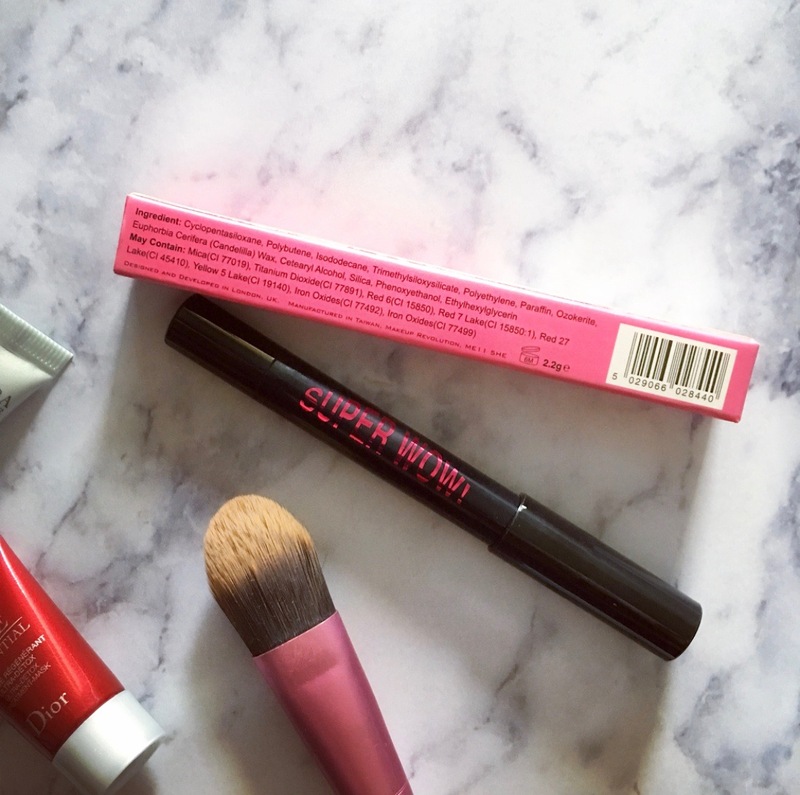 Can we take a minute to talk about that adorable pink packaging?!!! 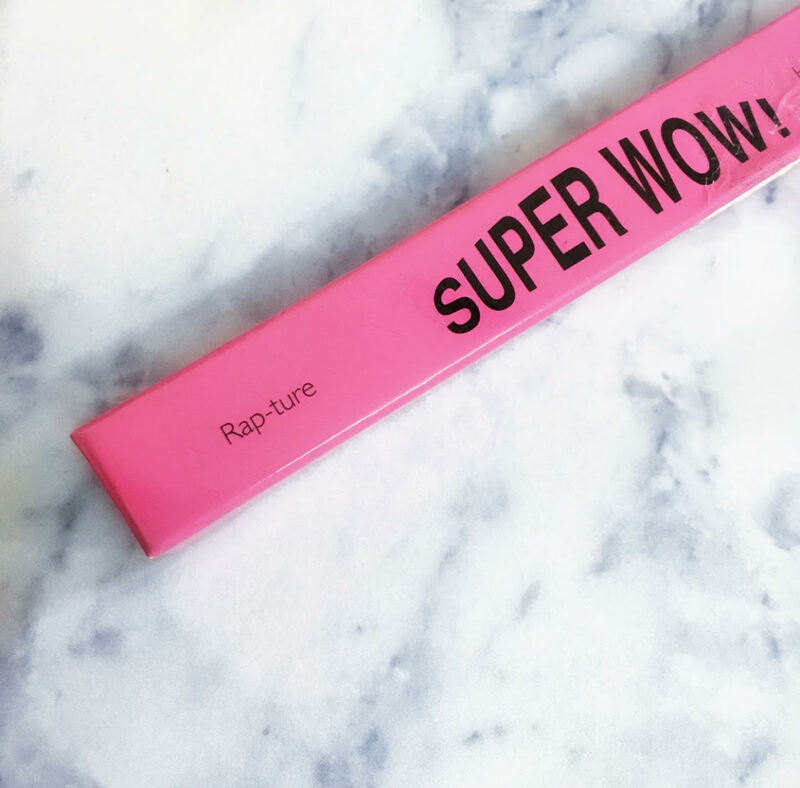 The outer cardboard packaging is glossy, while the actual stick is a classic crayon (black in colour) with twist-up base with the text SUPER WOW written in glossy pink. 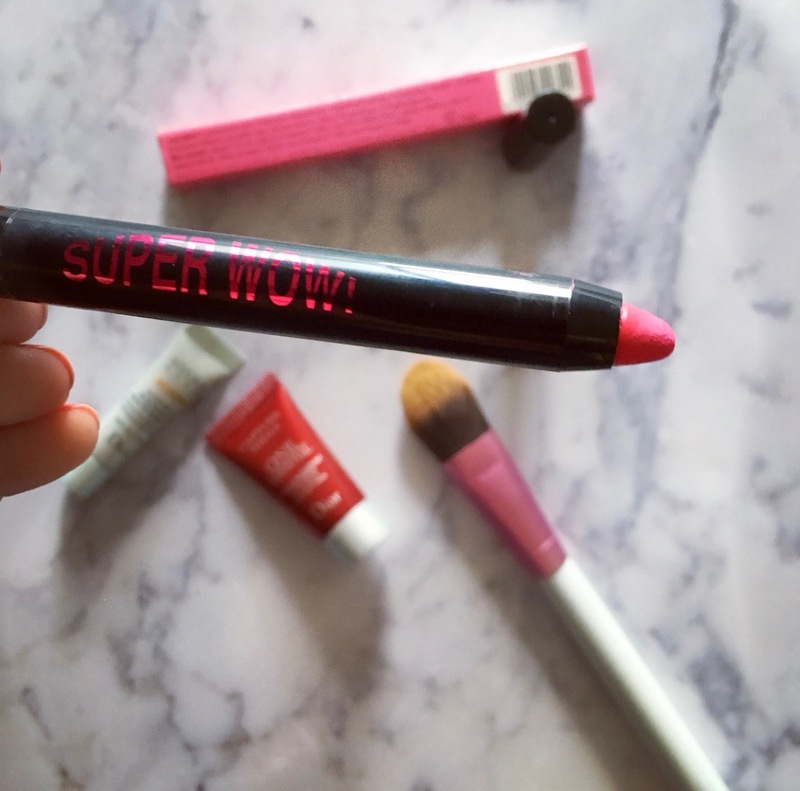 Moving on to the actual product and formula, the Wow Stick is a full-out matte lip product that also claims to be waterproof. 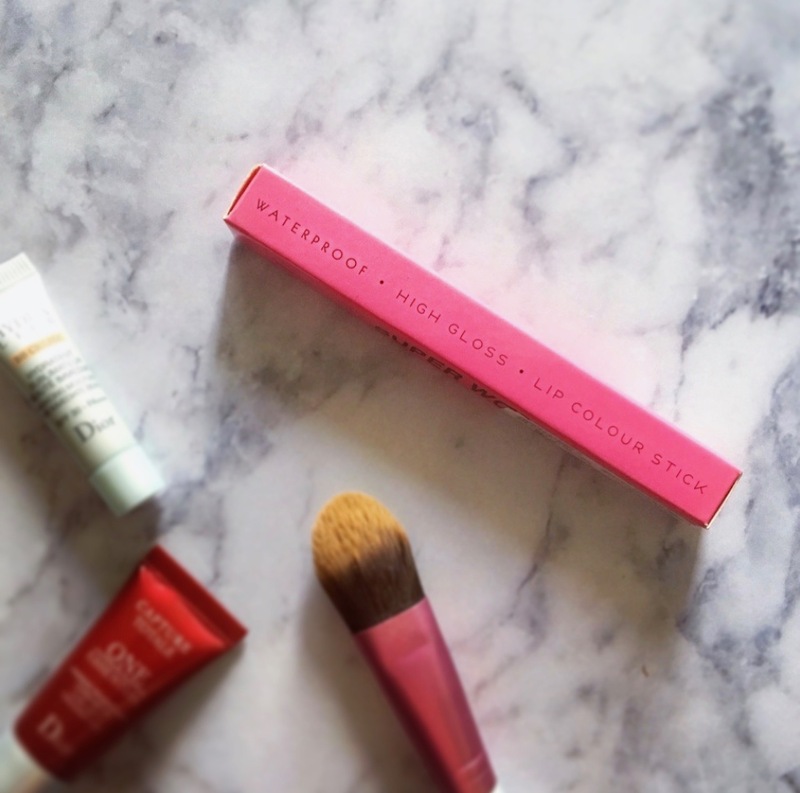 I know what you’re thinking – the packaging says HIGH GLOSS (so how can it be matte?)…. nope! 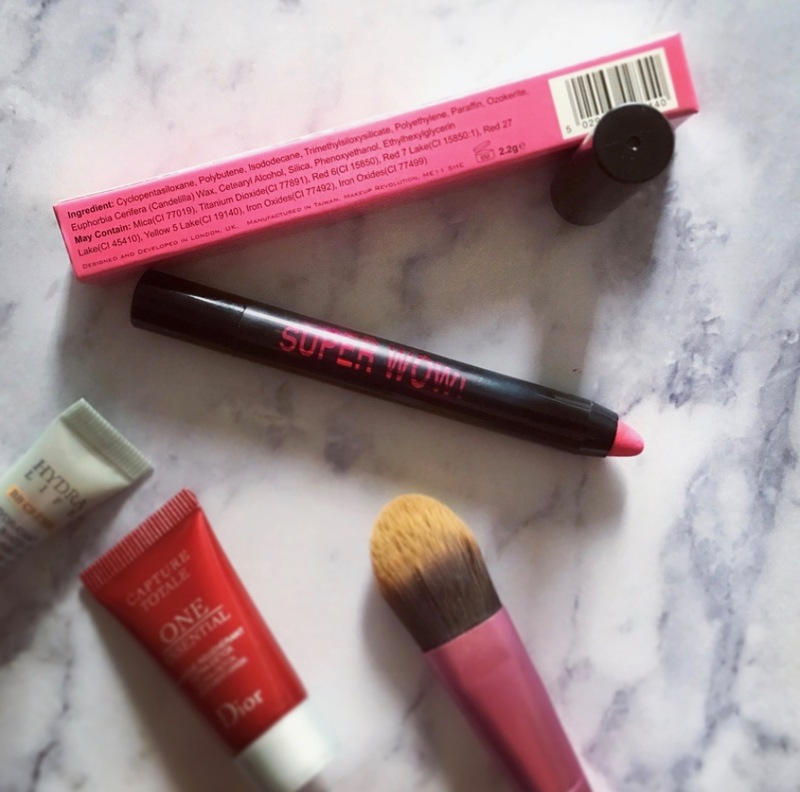 Makeup Revolution got that wrong, It is a SUPER MATTE lip crayon – there’s ZERO GLOSS here! However, Makeup Revolution was not kidding with the waterproof formula – this is legit budge-proof and will not transfer once it has set. 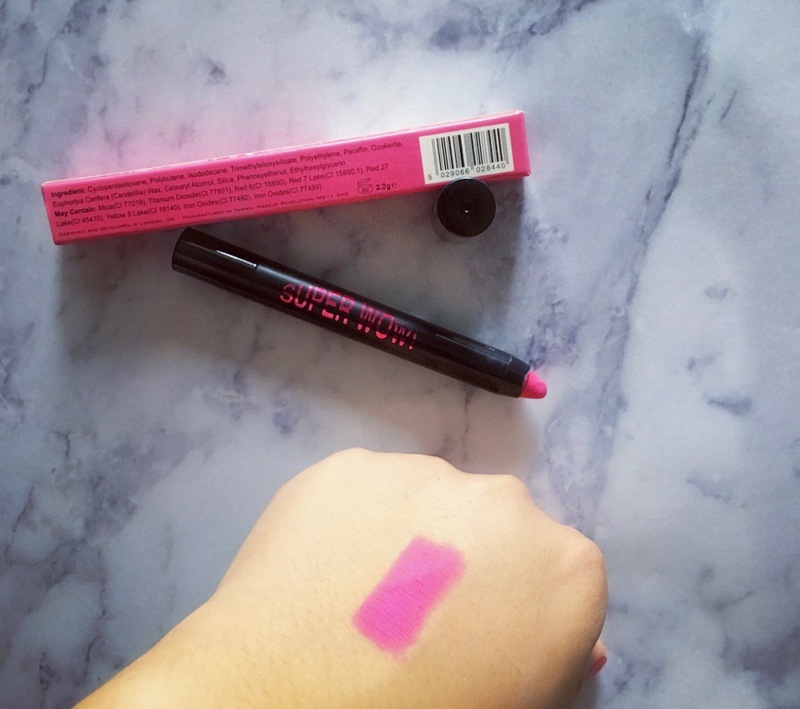 I have the shade Rapture which is a beautiful bold pink (almost neon and certainly cool-toned) and I squealed with excitement when I first swatched it because it glided on smoothly on the back of my hand ….plus the pigmentation was AMAZING…. sadly, it wasn’t the same story when I applied it on my lips. However, I’ve read reviews of people saying the Rapture did not work out for many and that there are other shades in this line that apply beautifully. Would I try more? I don’t think so! To wrap it up, I’ll just say that I love Makeup Revolution and the lip shade is BEAUTIFUL, but this product was a total fail for me. It’s a good idea to have a crayon lip colour because being a twist up stick it makes application fuss-free, but I wish the formula and texture was better. For me it was a dud because it was so cracked and patchy on the lips that I ended up wiping it off right away. I might give it another try after using a lip scrub + with a lip balm underneath and I’ll let you know if that works out. Price: Rs. 650/- , but you can get them for cheaper during sales.